Repetition, focused attention, physical exercise, and omega-3 DHA, are the keys to brain neuroplasticity where you have the power to change your brain! The process of neuroplasticity, via new connections opening up new pathways in the brain, is therefore what allows for dramatic healing, change, growth, and adaptation. It is breathtaking to consider that you have the power to change your brain using the power of neuroplasticity; you can physically alter your brain’s structure and drastically change how it functions. The latest advances in brain research are uncovering just how malleable our brains truly are. Not only that, researchers are discovering exactly what is required to allow the brain to change and what can be done to enhance it neuroplasticity. The key is making new connections, according to Dr. David Perlmutter, an integrative MD and board certified neurologist who specializes in nutritional influences on brain disorders. In a recent article published online on Integrative Practitioner, Dr. Perlmutter explained how these new connections within the brain are made using the power of repetition and focused attention and how they can be enhanced using physical exercise, the omega-3 fatty acid DHA, and through prayer or meditation. The individual working units of the brain are single nerve cells called “neurons.” But in order for the brain to orchestrate even simple tasks, large communities of neurons must work together as a group, or a “neural network.” Accomplishing even the simplest activity requires a neural network consisting of vast numbers of interconnected neurons functioning as a unit. Through the process of learning, millions of neurons form communities that act in unison, firing together in various parts of the brain where they cluster together in relation to a particular concept, idea, memory, skill, or habit. You can remember things and accomplish tasks because each neural network is its own unique pattern of connected neurons that fire in a specified sequence. Neuroplasticity and neurogenesis allow entire existing neural networks to be modified and entire new networks to be created. The process of neuroplasticity, via new connections opening up new pathways in the brain, is therefore what allows for dramatic healing, change, growth, and adaptation. The way in which individual neurons actually connect and combine into units dedicated to specific functions is quite complex, involving numerous biochemical changes that are still being investigated. One thing that is certainly needed, research shows, is repetition. It takes more than simple repetition of a stimulation or activity, however, to create the brain connections that lead to the formation of neural networks. In addition to experience through repetition, research also demonstrates the importance of focused attention in neuroplasticity. Repeated experience must be combined with focused attention in order for the physical changes in the structure and future functioning of the nervous system to take place. Focused attention means you are mentally focusing on what you are learning, paying complete attention to what you are doing in the present moment. When you are distracted, your brain cannot map the information and memory is not stored. Once you can do something on autopilot or without too much attention, neuroplasticity stops. So becoming mentally engaged with an activity is requisite for learning that activity, Dr. Perlmutter says, and activities need to be maintained if they if their neural networks are to remain functional. This also means that you can get rid of dysfunctional or detrimental neural networks by purposefully directing your attention away from them. Just as you can choose to strengthen the pathways that serve you in positive ways, you can purposely weaken the pathways that don’t serve you well. 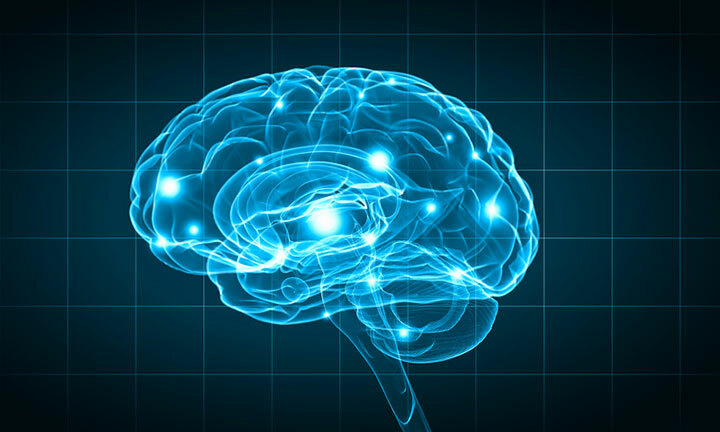 Besides repetition and focused attention, brain researchers generally agree that a compound called brain-derived neurotrophic factor (BDNF) is what allows neurons to connect and combine into new networks. BDNF thus plays a pivotal role in neuroplasticity. The more BDNF available, the more neural network formation can take place. What would be some typical applications of this brain adaptation capability? Researchers have used brain training to rehabilitate patients with brain trauma, chemofog, Mild Cognitive Impairment, and more. But healthy people can also use it to sharpen their brain function in daily life while simultaneously preventing cognitive decline in the future. You, too, can harness the power of neuroplasticity to remember more, think faster, and achieve your full potential in every aspect of life. Let the mindboggling idea of neuroplasticity really sink in. It is truly liberating to understand how much power you have to change your brain. Neuroplasticity is enhanced by repetition, focused attention, the omega-3 fatty acid DHA, and prayer or meditation. Purposefully incorporating any of these tools into your life can bring transformation and healing on the deepest level. For more information on how to change your brain using natural medicine, diet, and lifestyle therapies, browse our Depression and Memory topics. Integrat Pract. 2013 Jul 24.
aging, brain, brain training, cognitive decline, cognitive impairment, depression, diet, dr perlmutter, exercise, integrative, meditation, memory, mild cognitive, mild cognitive impairment, natural medicine, neuroplasticity, omega 3, physical activity, physical exercise.